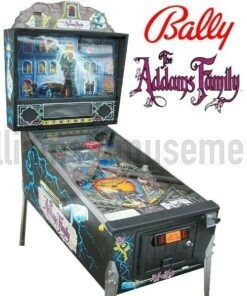 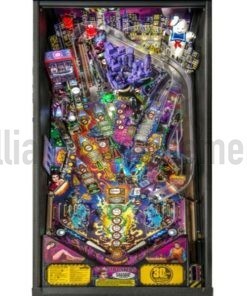 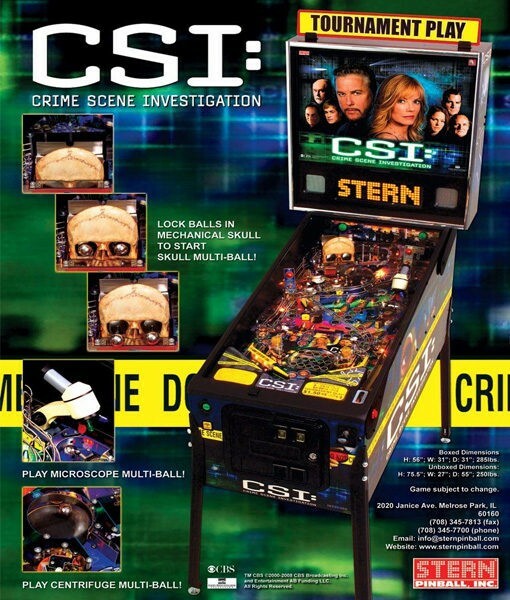 Here we have a fab CSI pinball which features original speech from Robert David Hall, who plays Dr. Al Robbins, the coroner on the Las Vegas television show. 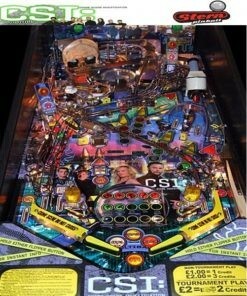 There is also speech from the major characters, including Gil Grissom and Catherine Willows. 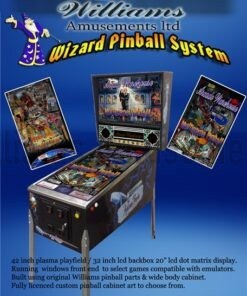 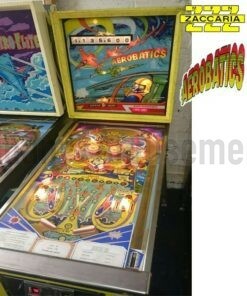 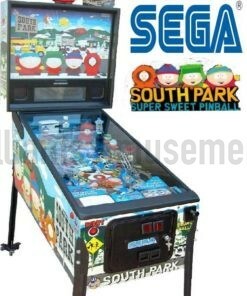 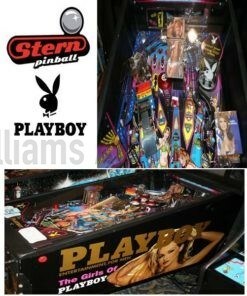 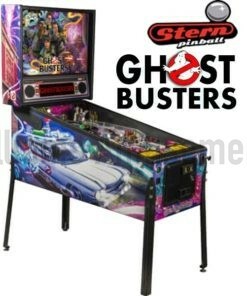 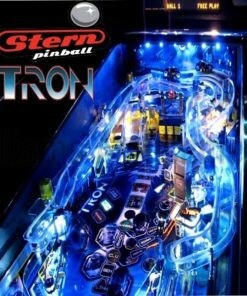 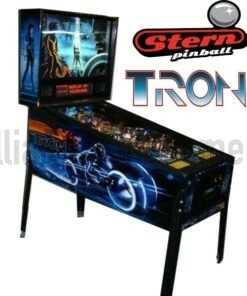 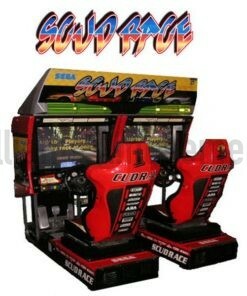 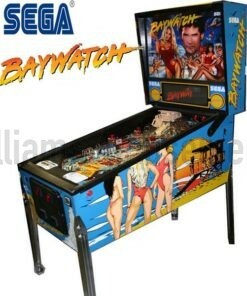 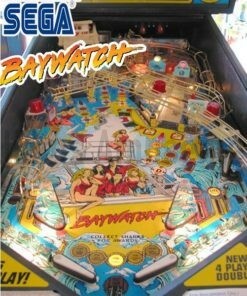 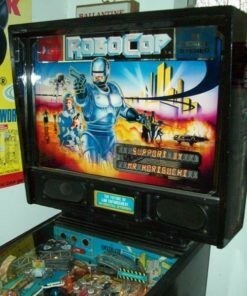 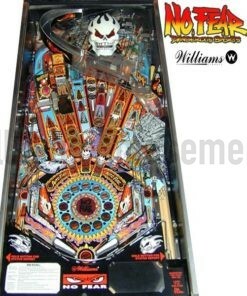 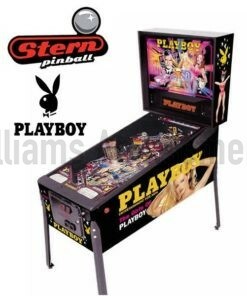 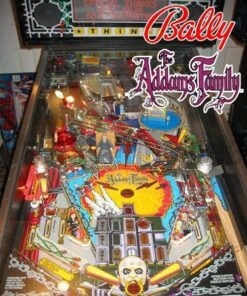 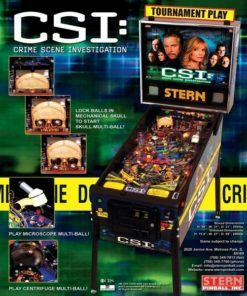 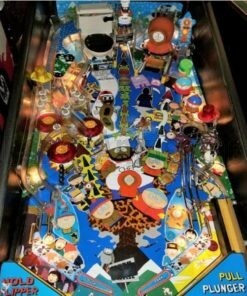 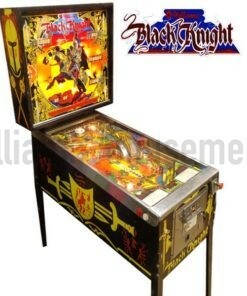 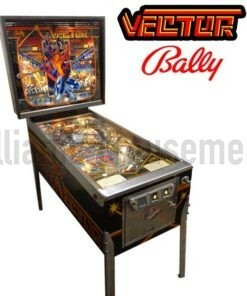 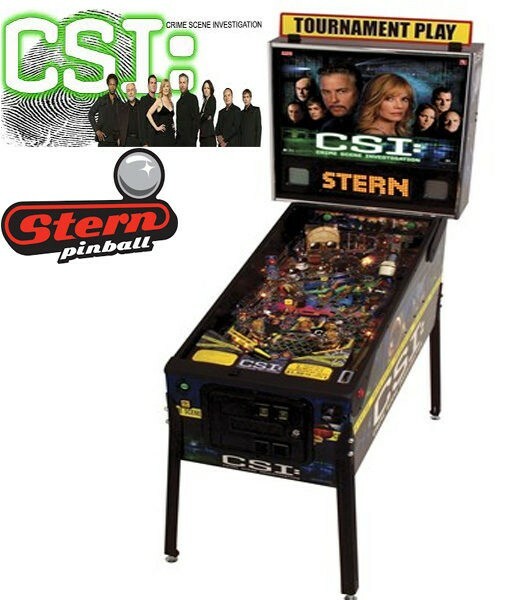 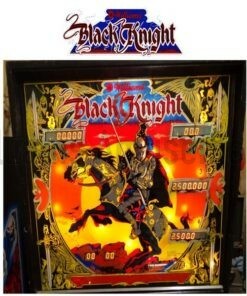 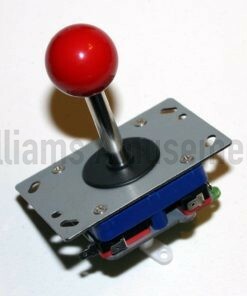 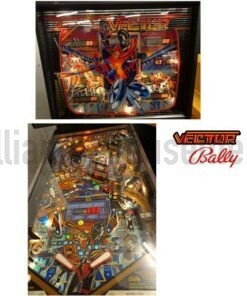 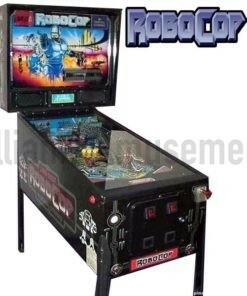 CSI pinball features music from the television show, as well as David Thiel. 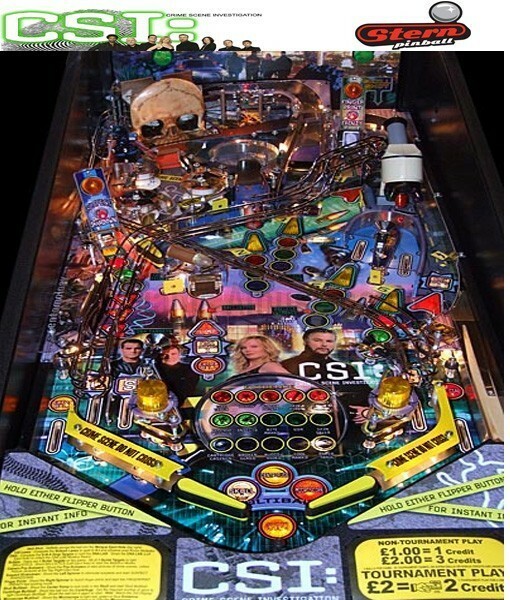 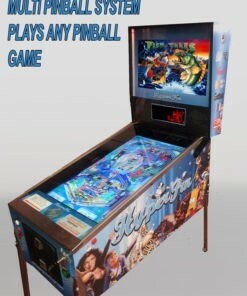 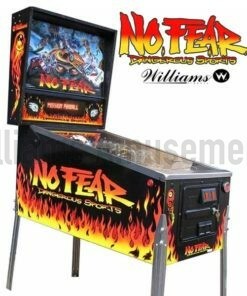 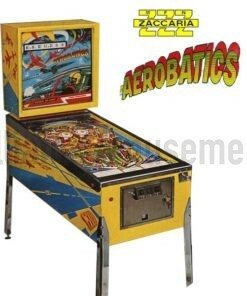 Pinball Hall of Fame artists John Youssi and Margaret Hudson created the artwork.The machine is in great used condition and has been fully checked by our team.